App Builder Appy Pie: We need food for sustenance and in the mad rush of things today, it is not entirely uncommon to become a little negligent towards nourishment. 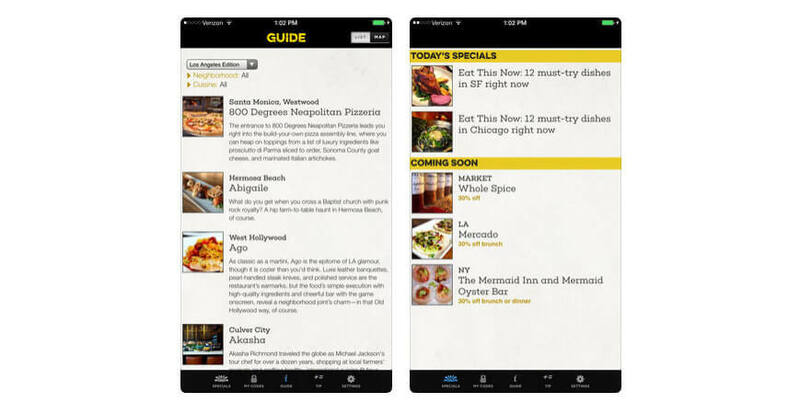 This is where the restaurant finder and food apps come in handy. 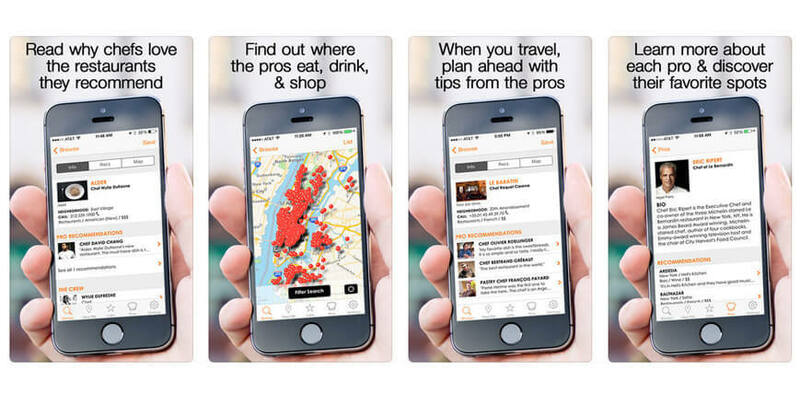 These apps can not only help you find the best restaurants around you, but also help you find the restaurant or eateries with exactly the kind of food you are craving and even let you know of the special deals in your favorite restaurant. Our social melting pot revolves around food and most of the social events revolve around eating, drinking, and making merry. Two of the biggest concerns here are finding the right kind of restaurant with your favorite cuisine and the money you are going to spend. According to Statista, there are 2 million apps on the Apple’s App Store as of the first quarter of 2018. Of this huge number of apps on the popular app store, the following 5 food and restaurant android apps that really stand out in the services that they offer. Planning to go out for a fancy dinner or haunt your favorite pub? Calling in for reservations is one of those drab tasks that not all of us might enjoy. Resy app is perfect for exactly those people! This app is more than a mere restaurant finding app, it takes you to the restaurant of your choice and gives you the option of making your booking from within the app. The service is available in multiple cities and is known for its beautifully streamlined reservation system, easy system of cancellation & reservation, and for the ease of viewing your restaurant credits right there, in the app itself. 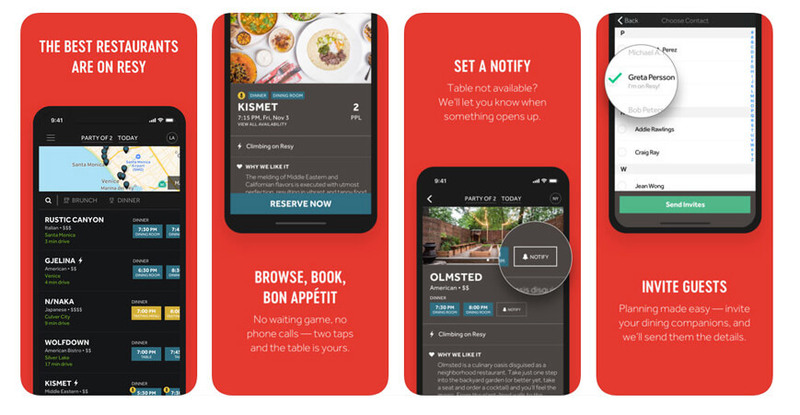 All you need to do, to book your favorite slot at the fine dining restaurant of your choice in just two taps. The name of the app is pretty self-explanatory – Find.Eat.Drink. While this app is great for helping you find restaurants and eateries, but the app is a whole lot more impressive than being just that. The app is brilliant right from the foundation, as the people who founded the app are the experts in the arena of food & drinks! Some of the most seasoned chefs, bartenders, sommeliers, food artists, and other such professionals got together to build it for you. The moment you launch the app and begin looking through the database of the app to choose the right variant, you would have, at your disposal, genuine advice from these experts and their opinion about finding the best of food and drinks and the shops selling them in your vicinity that you can view on your map. This app is something that will make sure that you never make a mistake with your choice of food and drink. You can add the places that you liked to your list of favorites and even leave your own experiences in the form of comments. When you are looking for some classy deals and offers, Blackboard Eats might be just what you need. This app is great in doing what it does, but what makes it even better is its brilliant design and the ease of use it offers. The app Blackboard Eats emails and delivers some of the most lucrative deals and discounts for all the hot spots and hidden gems in your city. The reviews that are published here for different restaurants and the deals on the app are the work of food editors and writers who have professional hold and expertise on the subject. One of the most useful features is the tip calculator incorporated in the app that helps you calculate tips a lot more easily. You can simply enter your discounted total bill amount, the original bill amount, the percentage of the tip that you want to leave, and the number of people who are splitting the check, and voila, you have all the numbers crunched out for you! You can get a lot of interesting deals here, for example a complimentary wine bottle & your favorite dish at a particular restaurant, discounts, secret menu items, pre-fixed packages, and so many other deals! In past, the lucky ones on this app have even found a sold-out floor seat ticket to Coldplay’s concert at the Meadowlands. Gluten allergy is becoming increasingly common among people and this condition makes eating out a nightmare where you would have to incessantly ensure that the food that is being served to you is indeed gluten free. The Find Me Gluten Free app is a brilliant app that can help you with numerous options of restaurants that serve gluten free dishes and their menus that are in your vicinity. The app will help you find your favorite and some new gluten free options at different restaurants, fast-food places, cafes, pubs, markets, and other eateries making sure that they are in your vicinity. The app is also equipped with a navigation option so that you can get a step by step guide to help you reach all these wonderful places you are excited about. You can recommend your favorite food joints, restaurants, dishes or menus to your friends and the fun part is that you can even add your own finds and discoveries here to help your friends out! The Essential Wine App – Delectable gives you instant ratings and descriptions of the wine bottles with just a simple photo of the wine label. 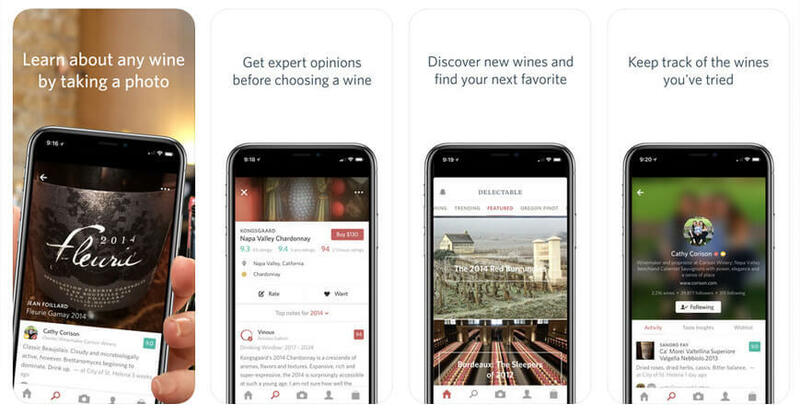 The app lets you keep a track of your favorites and increase your knowledge about wine following the world’s best sommeliers, wine aficionados, connoisseurs, collectors, and critics. You can buy your wines, beer & other spirits right from within the app. Delectable gives you the access to world’s best wine by following top sommeliers, exploring curated wine lists, and buying the right wine which can then be delivered to your doorstep. You can simply take a photo of the wine label and Delectable would identify your wine in mere seconds and even get ratings and reviews from a discerning community of wine connoisseurs. Apart from this you can add your own ratings and tasting notes to keep a track of your favorites. You can tag people and locations to make some moments memorable, while sharing recommendations with friends.